Hoops Africa: Ubuntu Matters features a soundtrack made up of a diverse assortment of musicians, many from various regions of Africa. Featuring Chiwaniso Maraire, Oliver Mtukudzi, Pretty Lights, Tycho, M.anifest, Baloji, Ngoni Eric, Mokoomba, JSWISS, Simba Tagz, Ade Ariyo, Hope Masike, and Blinky Bill. Listen to the official soundtrack on Spotify and learn about the musicians below. Chiwoniso Maraire is regarded as one of the best musicians in Zimbabwe and she toured the world up until her unfortunate death in 2013 of pneumonia at age 37. Maraire broke boundaries by playing the mbira, or thumb piano, an instrument that was traditionally only used by male musicians. Her music tells deep stories of her beloved homeland and struggles to overcome social inequality and political issues. Known as Zimbabwe’s most renowned and internationally recognized cultural icon of all-time, Tuku is gifted with a unique deep and husky voice. 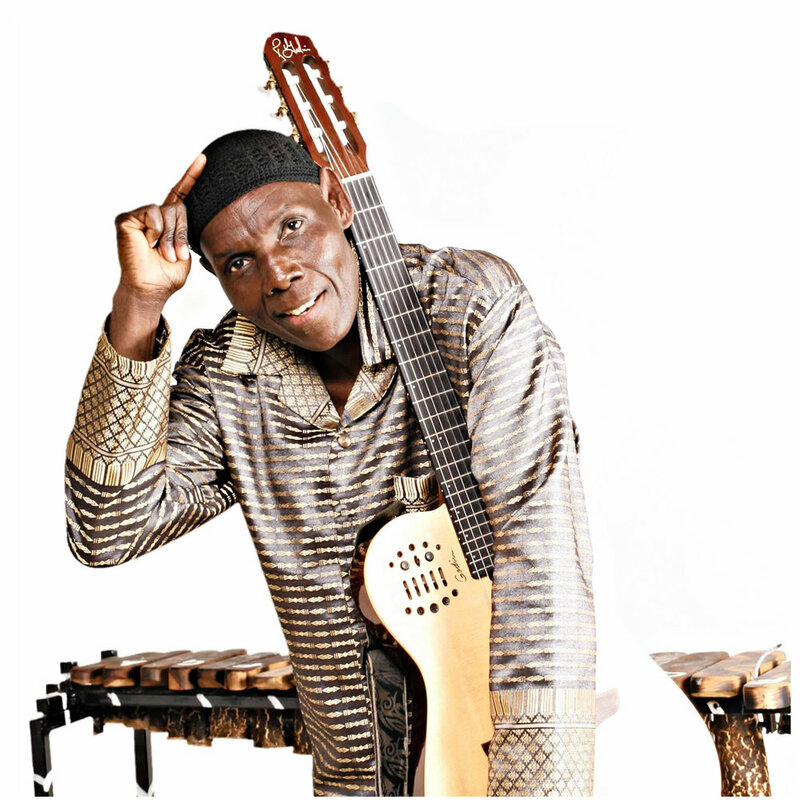 His music blends many traditional Southern African music styles and this sound has since respectfully been dubbed “Tuku Music” due to his strong influence on the Zimbabwean music scene as an innovator. Tuku has a great talent for writing songs and many claim that his music has been influential in shaping the cultural landscape in Zimbabwe for decades. Ade Ariyo is CEO of the Music Blvd Group, which is based in Los Angeles and one of the leading international music licensing and publishing companies with a footprint in over 40 countries. Ade is one of the most prominent female DJ’s of African descent and has a true passion for finding exceptional and diverse music. Her label has represented titles featuring major artists like Beenie Man and houses songwriters and producers who’s works have been heard on releases by the likes of Beyonce, Chris Brown and Rihanna. Ngoni Eric is an Afro-pop musician from Zimbabwe and is also the director of Hoops 4 Hope Zimbabwe. He will soon be releasing his upcoming album “Winning Ain't Normal” through his music label, Neric. The 11 track album will be his most versatile yet, featuring the song: ‘Ubuntu’ which all Hoops Africa fans will love. Be sure to look out for and support this new album and check out his music video for ‘Zunza’ on YouTube: https://youtu.be/4E8t5xzmQGU. Mokoomba is an Afro-fusion band featuring six members from Victoria Falls, Zimbabwe. Their sound stems from the deep respect that the local Tonga people have for the Zambezi River and for the vibrant life that it brings to their music and culture. Mokoomba sings in a number of languages and has an impressive international following in addition to their core Zimbabwean fans, touring in over 50 countries across the world. 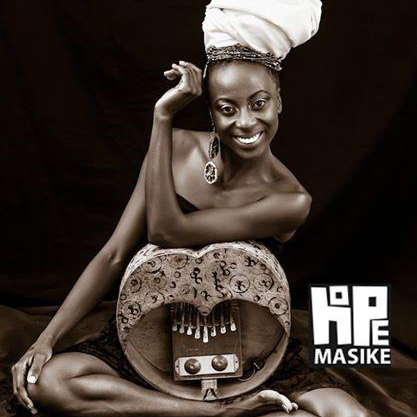 Hope Masike’s music is a hybrid of Mbira, Jazz and AfroPop and she has been one of the biggest musicians to come out of Zimbabwe in the past decade. In addition to being a singer, mbira player, percussionist and song writer, she is also a fashion designer and painter. As a former graduate of the Zimbabwe College of Music, Hope spends much of her time visiting local schools and educating youth on the music business and culture of Zimbabwe. M.anifest is a Ghanaian rapper, singer and songwriter who was crowned the King of Ghana Hip-Hop in 2017. Known as one of the best lyricists on the continent, he has worked with incredible artists ranging from Erykah Badu to Femi Kuti to Flea of the Red Hot Chili Peppers. He is very passionate about entrepreneurism and has had artist residencies and given lectures at universities in both Ghana and the US. Simbarashe Tagwireyi is a Zimbabwean musician who has transformed his talents as a producer to eventually getting in front of the microphone honing his skills as an artist. His music is defined as a progressive, genre-free sound. He has collaborated with many artists across Southern Africa, specifically in Zimbabwe and South Africa. Derek Smith, also known by his stage name Pretty Lights, is a leading American electronic music producer from Colorado. Smith claims old school hip-hop, funk, punk rock and skating culture to be major influences on his music and he has performed at marquee events like Coachella and Ultra Music Festival. He considers his music “Electro Hip-Hop Soul” due to its blend of electronic-based music and beats from hip-hop and soul music. Born to a Belgian father and Congolese mother, Baloji’s music stands at the crossroads of traditional African music of his native DRC and electronic music like trance and deep house from his Belgian upbringing. Feeling estranged due to his unique family situation, he left home and lived in a youth delinquent house in Belgium where he discovered a passion for rap and dance. Baloji means “man of science” in Swahili and his debut solo album entitled Hotel Impala was released in 2008 and is an autobiographical album about his life with a strong focus on his mother. JSWISS is a NYC native and UNC-Chapel Hill alum who embodies the essence of hip-hop with an infusion of soul. He is a hip-hop purist who claims Talib Kweli, The Roots and A Tribe Called Quest as his inspiration. JSWISS has shared the stage with the likes of Rakim, 2 Chainz and Big K.R.I.T. and has also performed at some legendary venues such as the historic Apollo Theatre in Harlem. Tycho is an ambient music project led by Scott Hansen as its primary composer, songwriter and producer. Hailing from San Francisco, their music is known to be vintage and organic, typically incorporating clips of human elements into the songs like weather broadcasts, breathing and talking. Tycho is a true force in the music industry with their fifth and most recent album from 2016, Epoch, having received a Grammy nomination for Best Dance/Electronic Album in 2017. Bill Sellanga is a Kenyan musician and a founding member of Just A Band, which is a Nairobi-based forward-thinking art and music collective. His music is a mix of futuristic African beats, funk, hip-hop, electronica and a hint of jazz. 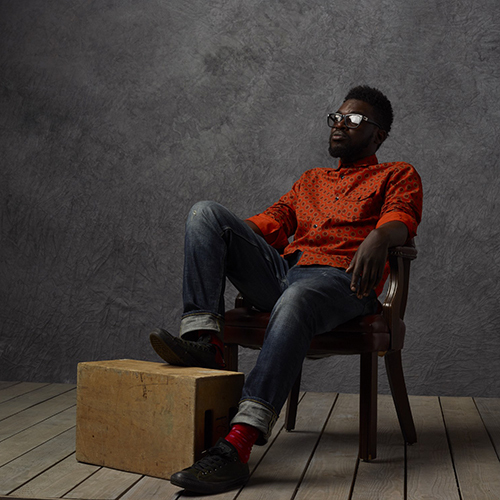 Blinky Bill has toured all over Africa, Europe, the US and beyond. He is currently working on his first full length project on the heels of his first EP released in 2016.